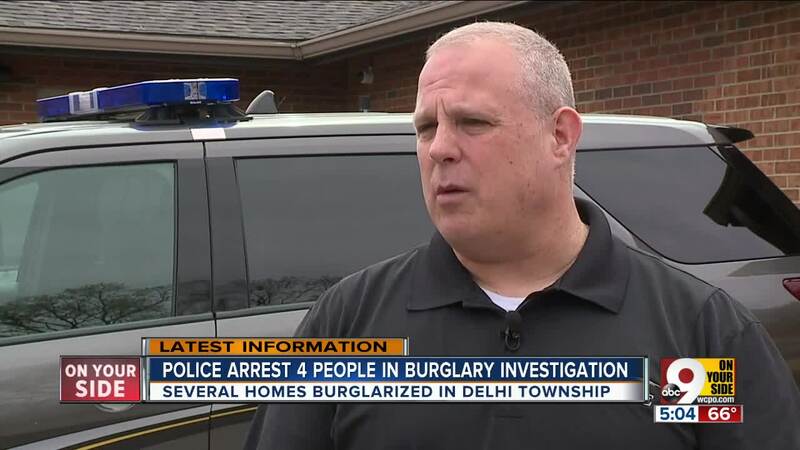 Four suspects arrested in connection to a months-long burglary investigation in Delhi Township. 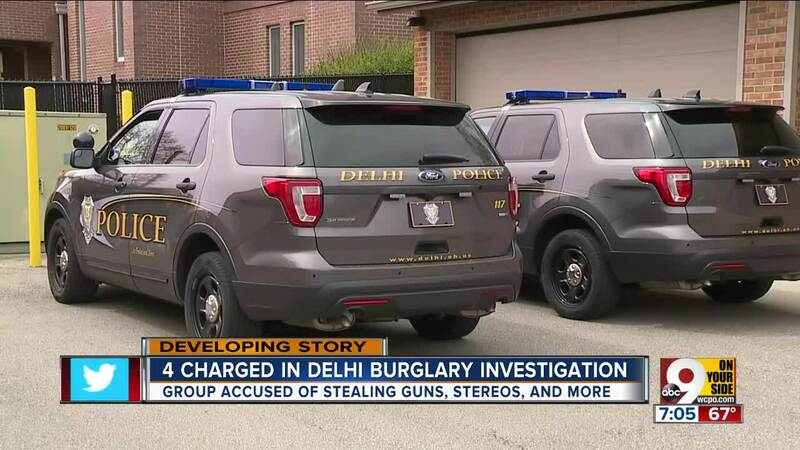 DELHI TOWNSHIP, Ohio — Delhi police say the man behind a rash of burglaries on Rentz Place knew the area well because he lived there. Police say they arrested four people in a investigation that spans several weeks and includes at least a half-dozen victims. The loot includes Playstations, stereos and guns stolen in the middle of the day. The burglar has been breaking into car and home windows near Rentz and Foley Road. Police say they charged their main suspect, Timothy Henke, with burglary and two counts of theft after they found some of the stolen items at his home. “He lived in the same street where the offense has occurred. The MO to the burglaries are all similar,” said Lt. Joe Macaluso. The three others arrested happened to be in the wrong place at the wrong time. “Unfortunately for some of them they were in the car with him when we stopped him and either had warrants or some drug paraphernalia with them,” Macaluso said. Kenneth Hinton is charged with receiving stolen property, Jennifer Summers is charged with felony drug possession and Donald Scott is charged with receiving stolen property. In one affidavit, police stated that Henke broke the back bathroom window of a Rentz Place home on April 3. He's accused of stealing a hand gun, rifle, ammo, a PlayStation 4 and Xbox One, and carrying the items back to his home located several houses away. Police say Hinton was found to be in possession of "a stolen firearm," according to court documents. Hinton told police officers he got the gun "off the street." According to police statements, Scott was in possession of a car stereo that was stolen months earlier. "Donald had admitted earlier that his friend Timonthy Henke calls him to ride Timothy to locations to get rid of property," an affidavit said, "that in hindsight he knew was more than likely stolen." Police said Summers was found to be in possession of heroin and was arrested on open warrants. Delhi Township police continue to investigate. More arrests are expected.